← THE DEAD: Facebook Page! Seems that Todd Beistel’s work on THE HORROR SHOW 2 is coming along nicely. 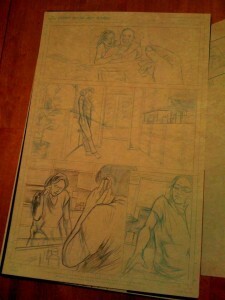 Here is a preview page of Todd’s un-inked work on the story. Can’t wait to see the finished product! Haven’t checked out the first THS from Broken Icon Comics? CLICK HERE to get a PDF of the entire comic for free! If you like it, be sure to buy a physical copy of it or any of the other awesome titles available at the BIC STORE!